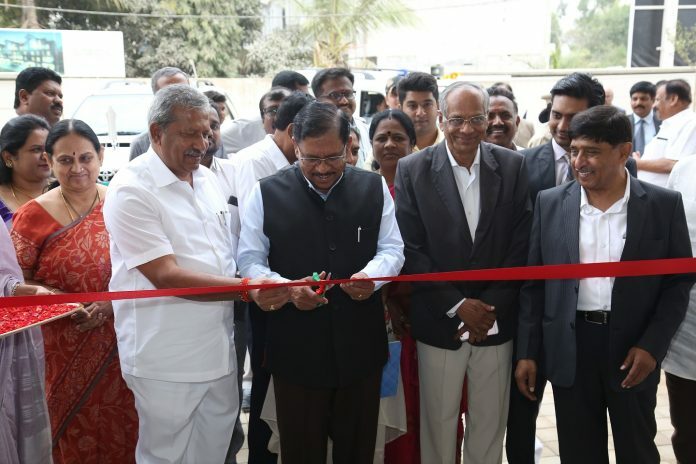 Bengaluru: City-based Ekya Schools inaugurated its newest campus in North Bangalore today at Byrathi, Off Hennur-Bagalur Road, Bangalore. Ekya Schools, having already created a mark for itself with a strong presence in South Bangalore and ITPL is now thrilled to bring the international school experience to North Bangalore. Ekya Schools is known for integrating the best of educational practices from across the globe into a well-rounded curriculum that empowers students to be outstanding, self-reliant, future leaders. The focus on providing world-class infrastructure has also been important to complement academic excellence. Conceptualized by the national award-winning architect, Mr. Sanjay Mohe and his team at Mindspace Architects, the 2 lakh sq. ft. Ekya campus is spread across five floors and is well equipped with laboratories for Science, Social Science, and Computer Science. All the classrooms are well-ventilated and naturally lit with panoramic windows. Additional features include a library that is spread across 2500 sq.ft., a half Olympic-sized secluded swimming pool and mini-pool with changing rooms housed in the basement, a 400-seater auditorium for multipurpose use, a 125-seater amphitheatre and two lar*-ge 60-seater AV rooms.